The Indian consumer has made his choice clear for the favourite mango drink. Maaza, introduced in the 1970s, is set to become the world's first juice brand to clock $1 billion in revenues. While consumers have loved the mango drink, innovation in crop plantation by farmers, among others, has been one of the key reasons for the success that Maaza has achieved. Since its introduction to India, the brand has considered the farmer community an integral part of its journey. When Coca-Cola launched Project Unnati to help farmers double the mango yields per hectare of cultivation, it was readily adopted by them because it helped cut down the time it took to monetise the output. Unnati was aimed at a large scale adoption of Ultra High Density Plantation (UHDP) in the country and aims to scale up the project to cover end-to-end fruit supply chain and further optimise delivery. The project has been focused on creating an ecosystem that delivers higher growth and income for farmers and the ‘Grove to Glass’ fruit supply chain, for optimising delivery. During the research for the project, it was found that usually mango trees are planted at a decent distance from each other on the field to ensure the availability of adequate sunlight, soil nutrients and water for the trees’ growth. However, under the guidance of UHDP experts, more trees were planted in the same area. Since trees tend to produce fruit faster when they sense a lack of resources for survival, the time taken for themto bear fruit was reduced considerably. As a result, this reduced space sped up the cycle of bearing fruits, thus leading to a richer yield. There was a time when despite being one of the largest mango producing countries in the world, India was able to process only 2 per cent of its total produce, according to the KLS Institute of Management Education and Research. And now, the transformation was clearly visible. The farmers had managed to increase the productivity by a whopping 200 per cent. 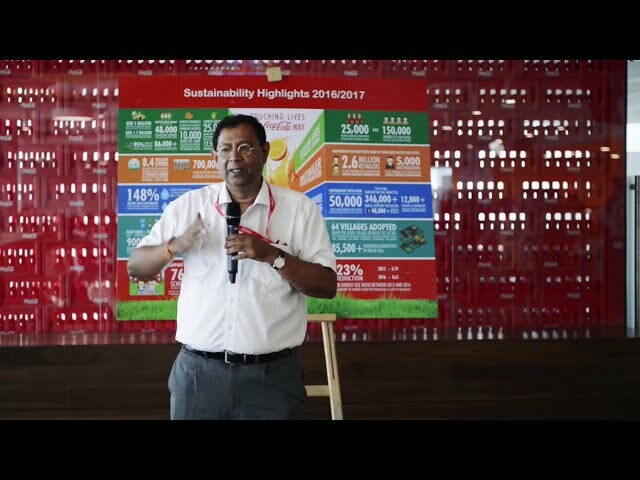 By enabling and assisting farmers to increase the crop yield and complete the pulp production process themselves, Coca-Cola helps them earn an even bigger share of the leading fruit crop that is farmed in India. The project also has the potential of improving the livelihoods of more than 50,000 farmers over its 5-year span, thus making a huge impact on their income. The initiative can even bring about a transformation in the value chain in a way that also meets the needs of consumers in the coming years. Farms under Project Unnati will also be used to showcase and train farmers on Ultra High Density Plantation under a joint capability building program led by Jain Irrigation and Coca-Cola University.